Feed Count 1.2 is the latest version of WordPress Plugin that displays the number of subscribers to your feedburner feed in text. You donâ€™t have to use the feedburner chicklet, This plugin can be easily integrated into your wordpress them. 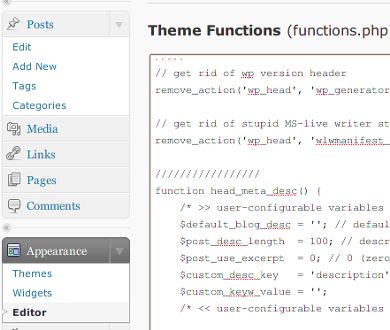 Adding an html table to wordpress is problematic job in visual mode. My old solution was to go into text mode and enter html code. However there is a new plugin called WP-Table. It allows you to a table directly in the Visual mode or import from a spreadsheet. Cool isnâ€™t it? This plugin creates and manages tables for wordpress. So you can post i.e. sport results in a fixed table format. You don’t need to enter tables anymore in the plain text mode and the WYSIWYG editor didn’t damage the table layout. The table layout can be changed via a css file and you can import a csv file as table. Thanks to mighty Google, now you can get FeedBurner Stats Pro and MyBrand version free of cost. You need to setup a CNAME which is nothing but an alias or shortcut from one Internet name to another. Iâ€™ve updated my blog few days back. But in case if you are still running 2.1.1 makes sure you get updated version.